Because I need a bit of inspiration now and again and I know many of you that follow me (knitters, crocheters, designers, and general makers) also like a bit of inspiration, I thought I’d start to post regularly about what’s inspiring me at the moment. If you follow me on Instagram, you may have seen the start of a new swatch for a new design I’m conjuring up (above). 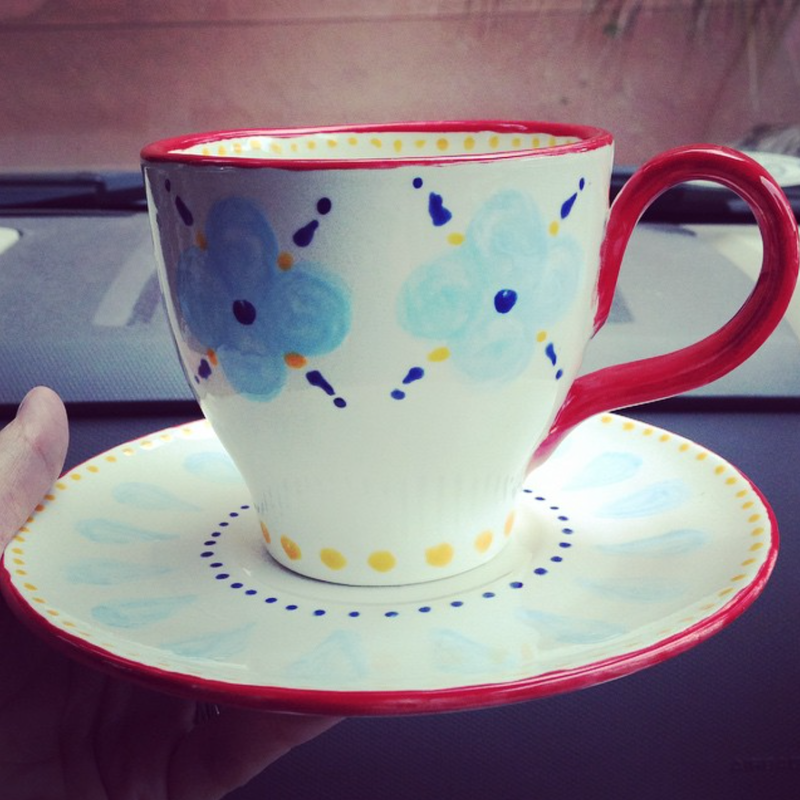 This design was inspired by a cup that my friend Carly painted at one of those paint-your-own-pottery. For some reason, the design of the teacup stuck in my head and last week I started charting out what I remembered it to look like in my head. After finding a picture of the teacup, I realized what I remembered was nothing like the teacup except for the primary colors. It got me wondering what other teacup designs might make for cute colorwork patterns… and I put together this Pinterest board! I hope you find something that inspires your next project!